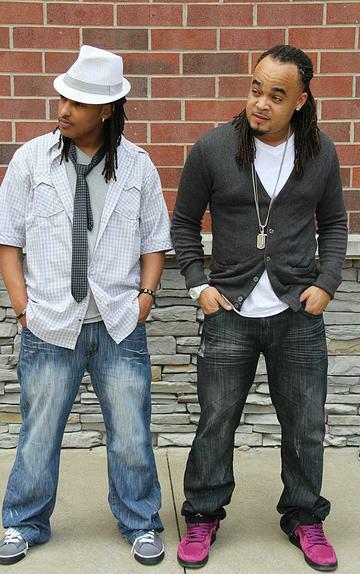 The Boyz are an innovative Christian duo determined to shake the entire Gospel Hip-Hop/ Christian Rap genre. The group consist of two members which are true brothers, Stephen “The ProDUCKagle Son” Williams and Turahn “Chyldish” Williams. The Boyz focus on every aspect of their God Given Talent,” proving that there is more to a song than just a tight beat. The Boyz place major emphasis on delivering catchy hooks, and sound lyrics that promote the kingdom of Jesus Christ our Savior! Hailing from the Southside of Nashville, Tennessee, The Boyz grew up in a poor neighborhood surrounded by crime, abuse, and drugs. Although they were surrounded by many obstacles they pressed forward and put their faith in Jesus Christ. The Boyz life story is truly a powerful testimony, that definitely holds the title of their albums well, Living Testimony! The Boyz have had the privilege to share the stage and events with artist such as Kirk Franklin, Canton Jones, Da Truth, and Jonathan Orr, just to name a few. The Boyz truly feel blessed to be called on by the Lord to help save the souls of a lost generation through powerful music.